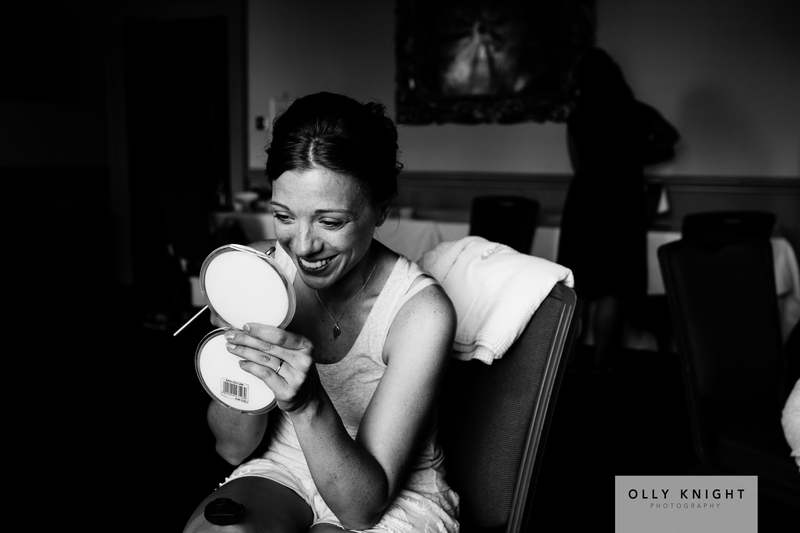 Shay & Laura had their wedding at Chilston Park in Lenham, Kent. Shay is originally from Canada and both him and Laura lived and worked there before moving back to the UK last year. Their wedding had many family and friends from both sides of the Atlantic. There was such a good atmosphere to the day. Laura’s dress was incredible and was made for her by a Canadian designer (well done to her Bridesmaid for bringing it over on the plane!) The beautiful light and tall ceilings of the room that she got into the dress at Chilston Park made for some of my favourite pictures from the day. I also appreciated Shay’s quick response in the ceremony when he was asked about where he should stand. Shay replied “I don’t know, I’ve never done this before!” We all laughed a lot! In the evening they had two options for guests- a band to dance to or a casino games room. I thought this was a great idea. Laura kept the dance floor going- I love seeing a Bride and Groom really enjoying the party in the evening! This was a brilliant day to be part of and I felt that I’d come away having made great new friends.